Preparing for a bed bug job is a task on its own. Let’s start with the amount of hours spent training technicians prior to any job, then the equipment, and even contract modifications or the creation of a specialized new one. How many hours would you say you need to train your top-tier and key employees to maintain quality and safety–30, 50 or even 100 hours? Next is the selection of products to use: residual insecticides, dust, vacuums, to heat or not, whole house fumigations and sub contracting, and last (for this article) aerosols. There are so many to choose from. Opinions are all over the map on what works, what’s best, and what failed. What matters is what works for you and your customer, right? 3) I better not get a call back! 8) Is it cost effective? I know there’s much to add to these two lists, but these are the nuts and bolts. J.T. 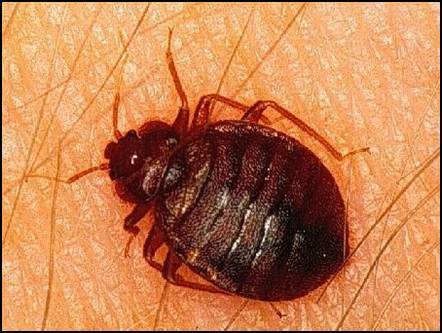 Eaton’s Kills Bed Bugs Plus #217P aerosol answers these questions and more. There is no resistance to active ingredient Pyrethrin, and the synthetic of Pyrethrin is Permethrin, which offers a great knock- down and residual protection. The Piperonyl Butoxide at .75% makes the product even more effective, and combines well with these two active ingredients for increased results. Both ingredients bind to proteins in the insect’s nerves called the voltage-gated sodium channel. That said, if you use our crack and crevice tip in the professional version, it foams! This encapsulates the bed bugs and fills the all parts of void where the insect rest; therefore more of the product touches the bed bugs. It’s easy to apply and yields instant and long-lasting results. 8) Priced lower than the major brands on the market! We launched this made-in-America product for industry professionals at an extremely reasonable price. There are no “Silver Bullets” with bed bug products or equipment, but I assure you, we do have control of the “gun powder and the aim”! Many times people think that fast-acting rodent bait means a larger amount of active ingredients, the “more is better” way of thinking. When it comes to rodenticides with an active ingredient like Bromethalin in our Top Gun™ Baits, this is not the case. 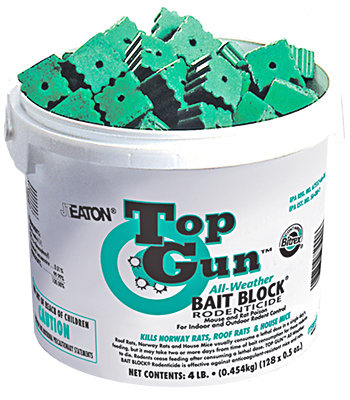 Top Gun™ Bait is a product that disrupts energy at a cellular level, causing the rodent to become weaker over a 48-hour period. In a poisoned rodent, fluid builds up around the nerves which results in paralysis and death. The great thing about this type of bait is that the rodent begins to feel the effects within the first 12 hours or less, so it doesn’t feel like consuming more bait as with second generation anticoagulants where a rodent can feed up to 3 days. Less rodenticide in the blood and stomach of the rodent means less risk of secondary poisoning for non-targets. On average, a mouse can consume just 2.5 grams (a rat 7-8 grams) for a lethal dose; for the most part that’s just a single feeding. When it comes to secondary poisoning, larger animal needs to consume large amounts of Top Gun™ Bait for a lethal effect. If a cat or dog consumes a dead rodent, they’re not likely to be poisoned. This is good news for the PMP whose customers are now demanding lower-risk products. For more information, visit http://www.jteaton.com and review the label and MSDS sheets for our Top Gun™ baits.